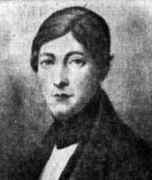 Zacharias Dase had incredible calculating skills but little mathematical ability. He attended school in Hamburg from the age of 21/2 years but, in his own opinion, his early instruction had little influence on him. He did show remarkable abilities in arithmetic at a very young age and he read all the books he could find on arithmetical skills. He was obsessed (his own account suggests this is not too strong a word) with dominoes when a child and when he later tried to explain how he came to have the skills which he did, he suggested that dominoes had played a role in developing his calculating abilities. He suffered from epilepsy from early childhood, and this health problem remained with him throughout his life. He multiplied and divided large numbers in his head, but when the numbers were very large he required considerable time. Schumacher once gave him the numbers 79532853 and 93758479 to be multiplied. From the moment in which they were given to the moment when he had written down the answer, which he had reckoned out in his head, there elapsed 54 seconds. He multiplied mentally two numbers each of 20 figures in 6 minutes; 40 figures in 40 minutes; and 100 figures in 83/4 hours, which last calculation must have made his exhibitions somewhat tiresome to the onlookers. He extracted mentally the square roots of a number of 100 figures in 52 minutes. Dase could do this kind of thing for weeks on end, running as an unattended supercomputer. He would break off a calculation at bedtime, store everything in his memory for the night, and resume calculation in the morning. for his calculations. His result was published in Crelle's Journal for 1844 and it is correct. At this time it was the most digits of π which had been calculated. In 1844, he had a position in the Railway Department in Vienna; in 1845 he appears in Mannheim; in 1846 he seems to have had a position in Berlin. In 1850 the largest hyperbolic table, as regards range, was published by him under the title 'Tafel der natürlichen Logarithmen der Zahlen' Ⓣ; the same was reprinted in the annals of the Vienna observatory. With small numbers, everybody that possesses any readiness in reckoning, sees the answer to such a question [the divisibility of a number] at once directly, for greater numbers with more or less trouble; this trouble grows in an increasing relation as the numbers grow, till even a practiced reckoner requires hours, yes days, for a single number; for still greater numbers, the solution by special calculation is entirely impractical. ... You possess many of the requisite qualities [for establishing tables of factors] in a special degree, a remarkable agility and quickness in handling arithmetical operations, ... and an invaluable persistence and perseverance. The Hamburg Academy of Sciences awarded Dase the financial support he requested and he began to undertake the huge task. When he died in 1861, he had completed computing factors of all the numbers between 7 million and 8 million, and also, with the exception of a small portion, of the next million numbers. In 1850 Dase went to England to earn money by exhibitions of his talents. Much the same is related of his great powers as in Germany; his general obtuseness also occasioned remark. He could not have made the least idea of a proposition in Euclid. Of any language but his own he could never master a word. He had one ability not present to such a degree in other ready reckoners. He could distinguish some thirty objects of a similar nature in a single moment as easily as other people can recognise three or four. The rapidity with which he would name the number of sheep in a herd, of books in a book-case, of window-panes in a large house, was even more remarkable than the accuracy of his mental calculations. It is curious that although Dase generally reckoned with astonishing accuracy, yet on at least two occasions his powers failed him. While he was in Hamburg, in 1840, he gave striking proofs of his talents, but at times made great mistakes, which luckily for him happen seldomer than his correct answers. In 1845, Schumacher writes "at a test which he was to undergo before me, he reckoned wrongly every time." This was explained as coming from a headache. A modern medical expert assessing Dase using the descriptions of his personality and other factors, would suggest that he suffered from Asperger's syndrome. ... 69 stanzas or poems in a variety of different forms by as many different authors. As far as I am aware this is the largest number of so-called poems on any single mathematician.